It’s Christmastime at Merryweather Lodge. Emily has returned to the cottage from her home in Canada; after the untimely death of someone she loved. Will she be able to celebrate a traditional English Christmas in her aunts enchanting little cottage or will she be tormented by the hideous creature, again? Was Emily’s attempt to banish her unearthly adversary successful? Will her aunt disclose the secrets she has been concealing for so many years? What will happen when Emily’s best friend comes to visit her? What secrets will she reveal? Will Emily ever get to make love to the man of her dreams? A chilling tale of love, passion, sorcery and sacrifice; laced with mystery and tied with humor. Inspired by the authors own experiences in a remote little cottage near Stonehenge. 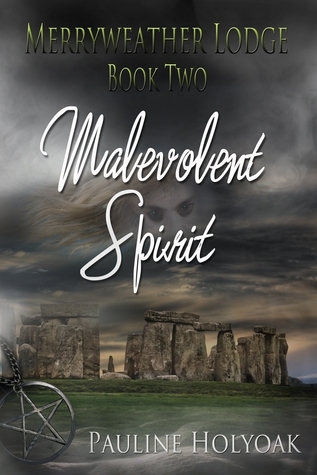 MALEVOLENT SPIRIT is the second amazing book in Pauline Holyoak’s eerie trilogy about the strange goings on surrounding a quaint English cottage near Stonehenge. In this book Emily returns to Merryweather Lodge for an extended visit with her Auntie Em, who owns the property. Emily quickly learns that the evil spirit of an ancient Druid priestess called Merthia is still plaguing Merryweather Lodge seeking revenge, and Merthia’s prime target is Emily. This is a very chilling tale that kept me on the edge of my seat! The story is told from Emily’s first person point of view. Emily learns more about Merthia, and she finds out Merthia isn’t the only “malevolent spirit” haunting Merryweather Lodge. Emily’s relationship with her soul mate Jonathan deepens, and much is revealed about her best friend Skye. I think my favorite character is the colorful and quirky Auntie Em. If you have not read the first book in the series, ANCIENT REVENGE, I highly recommend doing so before reading MALEVOLENT SPIRIT. The first book gives readers a lot of important backstory for the characters and places in book two. Plus, ANCIENT REVENGE was a sensational read as well. My only complaint about this one? I thought that it ended abruptly. There is still much to be resolved, and I’m ready for the third book now! Thank you to the author for providing me with a review copy. 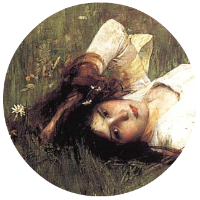 This entry was posted in Gothic Fiction, Paranormal Fiction, Reviews and tagged 4.5 Stars, England, Magic, Pauline Holyoak, Witches. Bookmark the permalink.